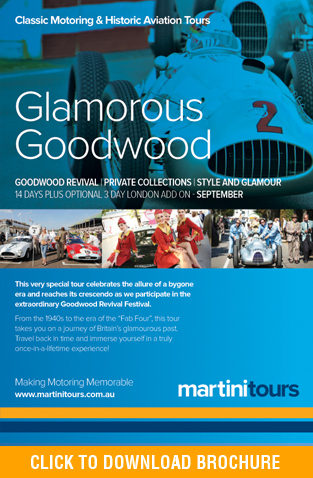 Travel back in time and immerse yourself in a glamorous bygone era at the world famous Goodwood Revival meeting. 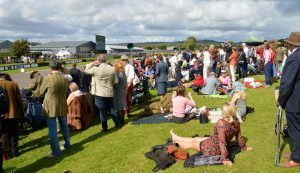 Celebrate the nostalgia of the 40s, 50s and 60s by embracing the accepted practice of dressing in period attire and mixing it with the style and glamour that truly is Goodwood. This is a marvellous opportunity to soak up the ambience of these decades and relish the retro shops, entertainment, cars, planes and atmosphere of the era. 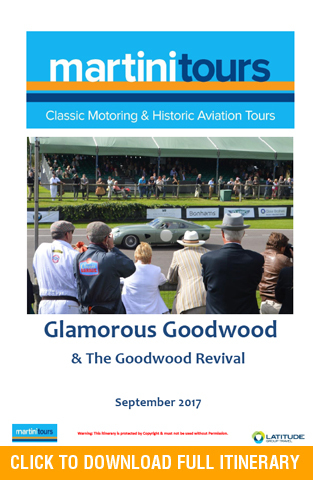 Marvel at the racing legends in their original, classic racing machines, as they take on the challenges of the legendary Goodwood Motor Racing circuit. Walk in the footsteps of Prime Minister Sir Winston Churchill as you discover the original Cabinet War Rooms, the wartime bunker that sheltered Churchill and his government during the Blitz. Visit his place of birth at the remarkable Blenheim Palace. Tour inside London’s greatest landmark – Buckingham Palace, see the Royal Mews and the carriage that was Australia’s gift to the Queen. Let us take you to Liverpool to relive the 60’s through the Beatles and the music that changed the world! Round out this fabulous tour with visits to Brooklands, Beaulieu and the Donington Grand Prix Collection, where you will experience unforgettably thrilling on-track activity. This tour transports you back to times, places and events that have shaped our lives and will leave you with treasured and lasting memories.